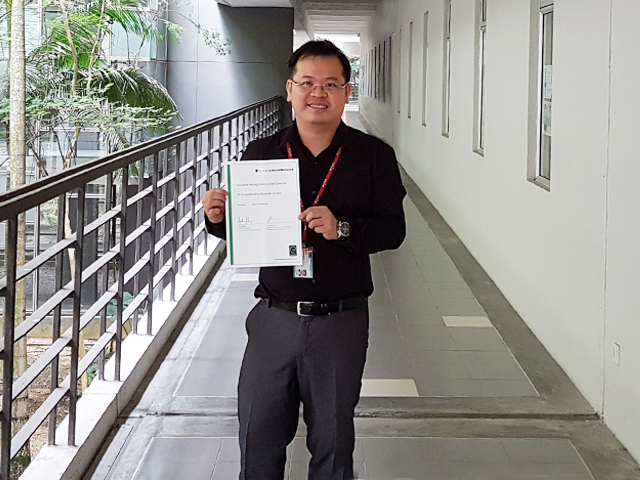 Faculty of Business and Finance (FBF) Senior Lecturer Garry Tan Wei Han was named as an Outstanding Reviewer for the Journal of Industrial Management and Data Systems in the Emerald Literati Network 2016 Awards for Excellence. Reviewers play a critical role in the scholarly publishing process as academics are dependent on critical peer reviews to assess the quality and thoroughness of their research before publication. To be recognised as an Outstanding Reviewer by the world-renowned scholarly publisher was a first for Tan, and the Marketing expert enthused, “The award is a validation of the rigorous research training that we provide for our students at FBF.” He also expressed his gratitude to the editor Assoc Prof Dr Alain Chong Yee Loong, a prominent academic in Information Systems at the Nottingham University Business School, China, for the nomination. Tan, who hails from Ipoh, was also the recipient of the 2015 Highly Commended Award by Emerald’s Journal of Service Management. Click here to view the 2016 Outstanding Reviewer Award. Winners of the 2016 Emerald Literati Network Awards for Excellence can also be viewed from Emerald Group Publishing’s website. The Journal of Industrial Management and Data Systems is currently indexed in Thomson Reuters (ISI) with 1.278 Impact Factor (Journal Citation Reports 2015).